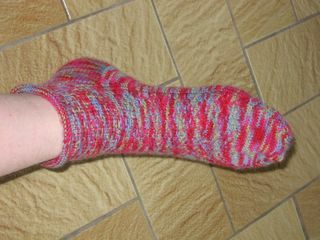 My crusoe sock! :D Second one was made the same way but I didn't take a picture. I love these colours and have a few more skeins of it for future socks!